Ansible Fundamentals LiveLessons This course provides a quick introduction to Ansible for administrators and developers. 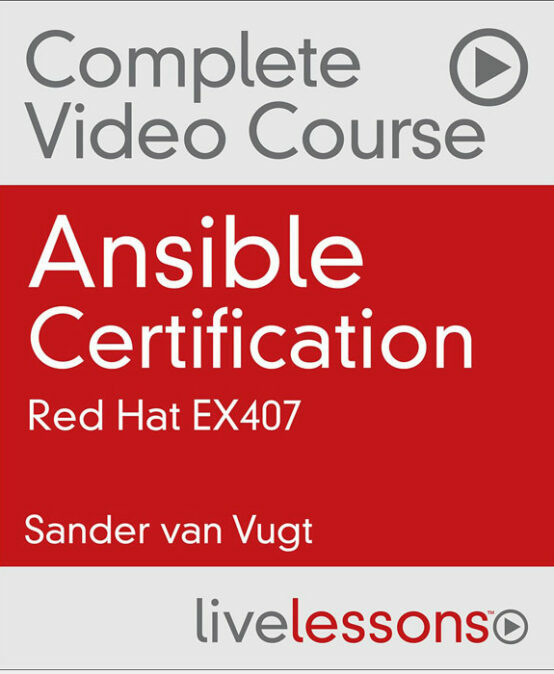 The LiveLessons can also be used as a secondary resource to get you started studying for the Red Hat Certificate of Expertise in Ansible Automation (exam 407). RHCSA in Red Hat OpenStack: If you want to get started with OpenStack, this is the most efficient preparation. In this video course you’ll get a complete overview of all that is needed to build an OpenStack cloud and start deploying virtual machines. It also prepares for the Red Hat EX210 exam. Red Hat RHCSA/RHCE 7 Cert Guide: this book contains all you need to know to pass the RHCSA and RHCE tests. Buy it if you want a decent study guide that describes all of the topics you’ll see on the Red Hat RHCSA and RHCE exams. 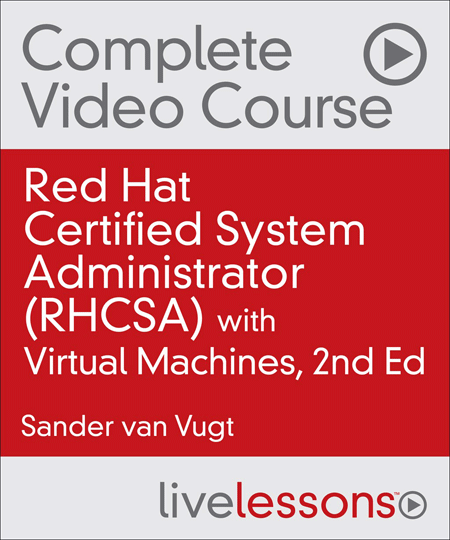 Red Hat Certified Systems Administrator (RHCSA) Complete Video Course, with Virtual Machines 2nd Edition: this best-selling course prepares for the Red Hat (r) Enterprise Linux 7 RHCSA exam. To take this course, minimal knowledge of the Linux operating system is recommended. This minimal knowledge can be obtained through the Linux + / LPI 1 Live lessons Complete Video Course. 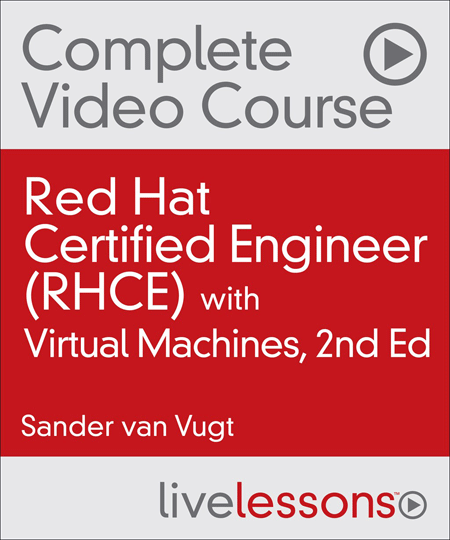 Red Hat Certified Engineer (RHCE) Complete Video Course, with Virtual Machines 2nd Edition: this video course prepares for the Red Hat RHCE exam. It teaches advanced topics, and should only be taken by people that have attended the RHCSA Live Lessons Complete Video Course, or have equivalent knowledge. 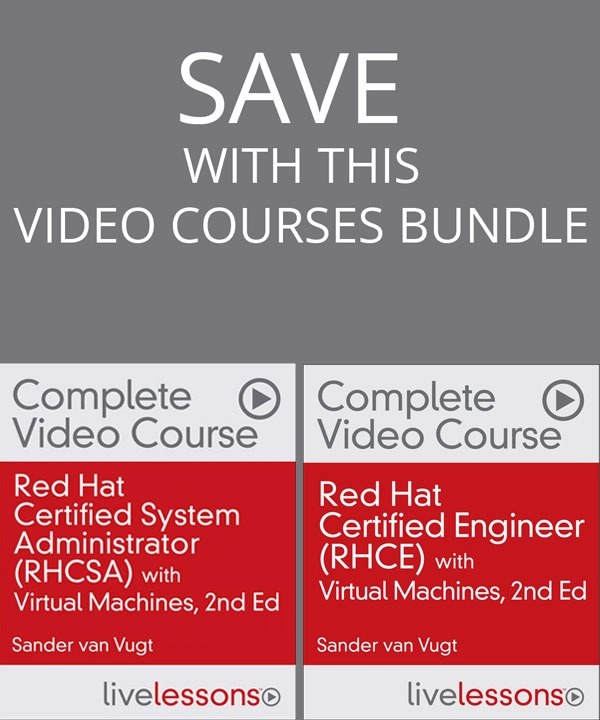 Red Hat Certified System Administrator (RHCSA) and Red Hat Certified Engineer (RHCE) Library: this is a combination of the RHCSA Live Lessons and RHCE Live Lessons Complete Video Courses. 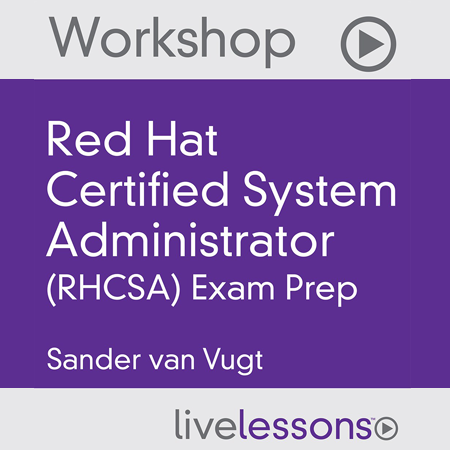 Red Hat RHCSA/RHCE Webcasts: this course which is available through safaribooksonline.com only, explores some of the more difficult topics from RHCSA and RHCE in more depth. Take this course if after attending the RHCSA / RHCE Live Lessons Complete Video Courses you are still unsure about specific topics. Red Hat Certified System Administrator (RHCSA) Final Exam Workshop: this course is for people who are ready to take the exam. In this course a test exam is discussed with a live audience, and you’ll learn how to make sure that you will pass the exam. The course also gives answers to FAQs and will take away the last topics that might be unclear before taking the exam. As retaking the exam is five times as expensive as attending this course, I would recommend everybody to take this course in the week before taking the exam. 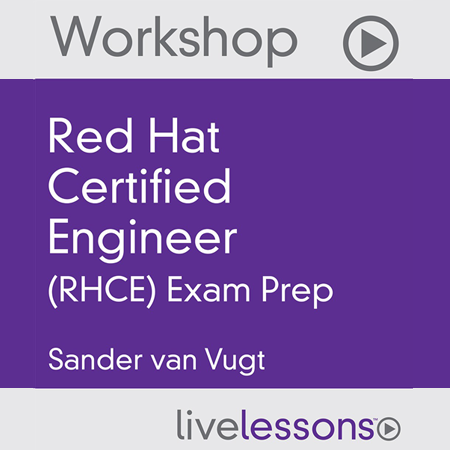 Red Hat Certified Engineer (RHCE) Exam Cram Video Workshop: this course is for people who are ready to take the exam. In this course a test exam is discussed with a live audience, and you’ll learn how to make sure that you will pass the exam. The course also gives answers to FAQs and will take away the last topics that might be unclear before taking the exam. As retaking the exam is five times as expensive as attending this course, I would recommend everybody to take this course in the week before taking the exam. RHEL7 New Features LiveLessons: this course is for experienced administrators of RHEL5/RHEL6 that want to get an introduction to the many new features that have been included in Red Hat Enterprise Linux 7.